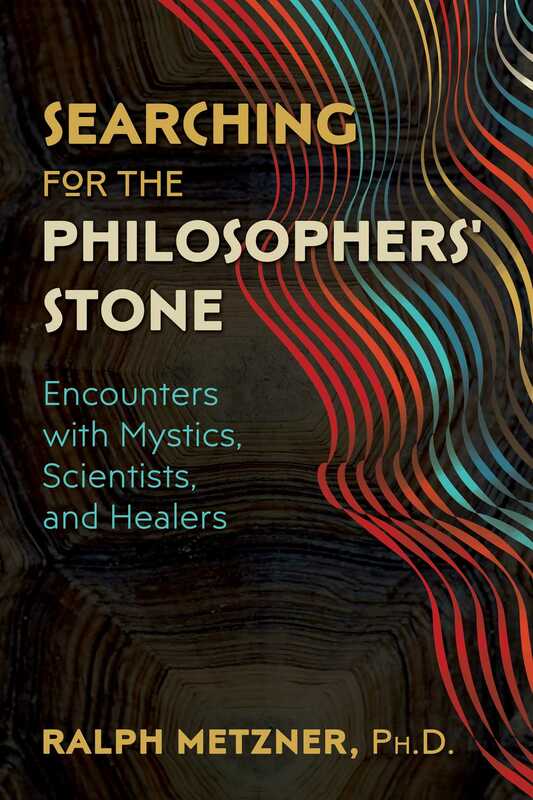 Just as the search for the philosopher’s stone is the core symbol of the alchemical tradition, Ralph Metzner, Ph.D., psychotherapist and one of the respected elders of the psychedelic research community, sees it as the central metaphor of his life-long quest to find methods of healing and insight through heightened states of consciousness. Through captivating stories Metzner shares his encounters from the 1960s through the 1990s with genius scientists, shamanic healers, mystics, plant spirits, and animal guides that led to the development of his “alchemical divination” psychological methods, a structured intuitive process of accessing inner sources of healing and insight. He details lessons learned with psychedelic research legends Albert Hofmann, Alexander Shulgin, Terence McKenna, and Dennis McKenna. He reveals his deeply healing encounters with the Kahuna bodywork healer Morrnah Simeona, the first to introduce the Hawaiian Ho’oponopono healing method to the West, and his experiences with West African trance dancing and the psychoactive plant-drug iboga. Metzner recounts in vivid detail his unwelcome encounter with malignant sorcery during an ayahuasca experience in Ecuador and the lessons it taught him about connections with spirits, both harmful and beneficial. He tells of his involvement in the beginnings of the therapeutic use of MDMA and shows how it is an effective and safe substance to support psychotherapy for healing trauma, PTSD, and interpersonal relationships. In sharing his remarkable encounters, Metzner shows how the most meaningful lessons in the alchemy of life come not only from the geniuses we meet but also from the spirits we encounter along the way. In November 1974 I traveled to Honolulu to give some talks and an introductory Actualism meditation workshop. There is one additional fact about my existence in the year 1974, a synchronicity that I only registered, with surprise, as I began to write this account of my meeting with the Hawaian Kahuna Morrnah Simeona. In October 1974, one month before my visit to Hawaii, my 8-year-old son Ari had died in a bicycle accident--the most traumatic and devastating event of my life. I was in what I would now recognize as a post-traumatic stress reaction, which meant that I had developed a kind of protective dissociation from the traumatizing trigger event, enabling me to function normally without collapsing into grief and despair. Such a sealing off of the traumatic event-memory enables a traumatized individual to function in ordinary life circumstances while appearing outwardly in a normal mode. At the time, however, I had no understanding of the nature of this kind of dissociative trauma reaction and no concept of myself being in that kind of altered state of consciousness. In fact the whole concept of PTSD didn’t really develop in the field of psychology until the later 1970s and 1980s - and is still not well understood. Dissociation is a very peculiar process - it is not at all like the Freudian concept of repression, in which primitive childish or animalistic impulses are supposedly being kept in check by the conscious ego. I had full recall of everything that had happened, but the painful emotions triggered by the event had been sealed off. The disconnect was so effective that I could function outwardly and not be overwhelmed by this devastating blow to my psychic equilibrium. In retrospect I cannot help wondering whether my interactions with Morrna Simeona (1913-1992) were somehow related to that tragedy. Perhaps the unusual degree of empathic generosity that she seemed to display toward me was somehow related to that tragedy which had occurred only a month before. I had made an appointment to meet with Morrnah Simeona sometime after I was finished with my public talks. Knowing of her work and reputation as a body-work healer, I had asked for a session with her--ostensibly to help me with some chronic muscular contractions in my hip and abdomen that dated to an appendix operation in my childhood. She picked me up at the hotel where I was staying and we drove to the place where she did her bodywork sessions. She was driving a white Mercedes sports convertible, with the top down. So here came an unexpected peak-experience for me--I was being driven through Honolulu in a white convertible on a sparkling sunny day, by a smiling Hawaiian woman in her late fifties. She was telling me stories all the time--before, during and after my bodywork session. I do not remember talking much at all. I certainly did not relate to her anything about my son or his death. She told me that during the time she was working as a massage therapist at the Royal Hawaiian hotel, she treated many prominent people from the United States, the Far East, and from Europe--heads of state, royalty, business executives, and others. I had really no idea of the scope of the international spiritual healing work that she was beginning to develop--and that she herself only hinted at in the stories that she was telling me. The lomilomi massage method, which I had not experienced before, includes, along with traditional strokes, a kind of gentle rocking motion of the limbs, which seem to shake out the pain-contracted tension patterns embedded in the long muscles of the limbs. I became immersed into a deeply peaceful healing trance. I do not even remember the passage of time--the treatment seemed to last for hours and transitioned into her telling me stories from Hawaiian history and from her practice. She told me that after she retired from the massage therapy practice at the Royal Hawaiian, she focused her work more on consulting with other healers on difficult cases and also on exorcisms of destructive spirit entities. One story she told me concerned a couple whose one-year-old son was gradually dying, as he was losing his life-force due to some undiagnosed illness. Tuning in with the infant’s higher self, Morrnah saw that he needed something from the sea. She told the father to walk with his son into the ocean and let his son guide him. The father waded into the water up to his chest holding his son until the infant reached out for a particular kind of floating seaweed. The parents took the seaweed, cooked it, and gave it to the son, who was cured. Morrnah also told me a story of being consulted by a Japanese family in Hawaii who had experienced a series of violent deaths by accident or crime. Tuning in to the ancestral lineage of this family with her clairvoyant perception, Morrnah saw that in this family two or three generations ago in Japan there was a samurai who had killed dozens of people. Because of the traditional reverence for their ancestors, the karma of this killer was being preserved unconsciously as a destructive presence in the life of the family. Morrnah contacted the soul of this long-deceased samurai and persuaded him to move upward, following the lines of light into the Spirit World. The family was counseled to distinguish familial respect for the ancestor from personal approval of his deeds. The family was therefore released from this lethal karmic possession that had been kept in place, inadvertently, because of their ancestor reverence.